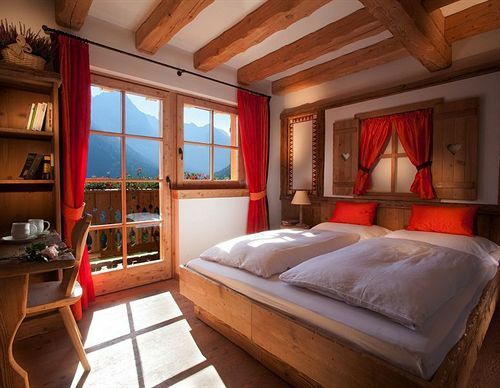 Italy has recently embraced the tendency of the luxury accommodations in the Alps. The Telegraph has talked about the new trend and offered a selection of the best five luxury chalets available for all ski and snowboard lovers. 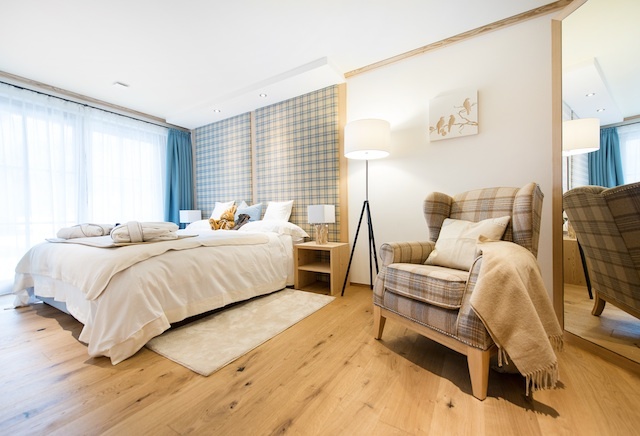 The trend is well known in other countries such as Switzerland, Austria and France, which have always struggled to win the award of best holiday chalet thanks to a wide range of facilities offered. The guests of these five stars chalets can, in fact, benefit of some upmarket amenities such as pools, spas, cinemas and professional chefs. That’s a trend that has just landed in Italy as well. Although its love for La Dolce Vita style, Italy has, surprisingly, embraced this development with a little delay. The trend was imported three years ago by two senior figures, Stefano and Giorgia Barbini, who left the fashion world to open the San Lorenzo Mountain Lodge, a considerately renovated 16th-century hunting retreat. In doing so, a new era of stylish accommodations was just begun. This is a property of the Interior Designer Lucie McCullough and her husband, who spent three years looking for their dream winter home in Italy’s Piedmont region, settling in Pattemouche, a medieval hamlet linked by cable car to Sestriere where they found a 17th century farmstead. Subsequently, it took further two years to renew the Baita, the Italian word for farmhouse, and transform it into a luxury bolthole. The loft has now become a rustic-chic living area with wide mountain views, a wood burner and a timber hot tub on the adjoining roof terrace. The flat is refurbished with luxury double rooms, a children’s dorm room, suitable for six, along with local timber, stone and a copper bathtub. The chalet is also adorned with Mongolian rugs, French antiques, Burmese bronze bowls and other exotic artifacts bought by the couple during their travels. Jamie Oliver trained-chefs offer a delicious menu which varies from the traditional Italian recipes, typical of the area, to Burmese beef curry. For further details about costs and bookings, visit the website summersandwinters.co.uk. Along with an astonishing Dolomites view, there is the Chalet Zeno, which might be technically an apartment. However, it provides the privacy and all the amenities, included a private lift, of a luxury accommodation. Favourite by Hollywood stars such as George Clooney, the chalet is part of the Rosa Alpina Hotel & Spa, one of the South Tirol’s very best properties, renovated with a stylish furnishing. Guests enjoy their breakfast in the chalet and both lunch and dinner in a well-known Michelin restaurant, that is the St. Hubertus. An award-winning spa is also available for the guests for a complete relax bath. Alongside its heritage, the San Lorenzo Mountain Lodge, is one of the most important accommodation in this area. This was the first luxury chalet established in Italy, and a visit may be worth your time. A dense forest above the Puster Valley and an astonishing Dolomite view makes the holiday unforgettable. Three charming double bedrooms and a four-child bunkroom are hosted upstairs, and a smart wellness area is also available. For a more romantic atmosphere, outside guests find a heated pool as well as a helipad. Located a 20-minute drive from the Lodge, Kronplatz boasts 116 km of ski slopes, including five black runs and a special Kid’s Safety Park, all reachable thanks to a modern lift. Giorgia and Stefano Barbini are still the natural hosts and they do their job with love and passion. While Giorgia improvises an authentic home cooked cuisine, Stefano hosts guests in his wine cellar for tastings from his private collection of South Tyrolean products, which is considered the world’s largest ones. Visiting www.oxfordski.com you will find out more details about prices and bookings. This custom-made chalet in the resort of Selva di Gardena, combines the joy of la dolce vita with the Austrian proficiency. Nearby, guests can easily find the Val Gardena ski area along with the fabulous landscape and restaurant blended to 500 km of ski pistes reachable with a lift system. From the living room, everyone can easily enjoy the stupendous scenery, especially while the sunset is lighting up the romantic background of the Dolomites. Guests can also enjoy the beautiful countryside from the lodge’s four lighted double rooms, south-facing terrace and outdoor hot tub. The relax area also offers plenty. Treatments include a spa, a fitness room and a home cinema. Close to the chalet, there are some of the world’s best mountain restaurants in the area. So guests can have their lunch at restaurant and dinner enjoying the Pine Lodge’s four course menus for dinner. Special offers and bookings are available on www.carrier.co.uk. 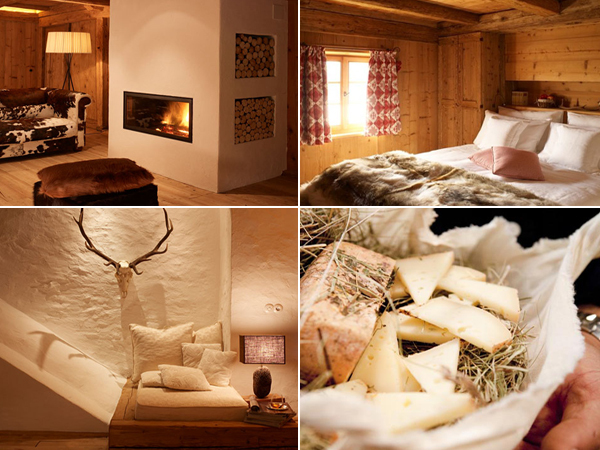 The Chalet Fogajard is one of the most fashionable eco-friendly luxury accommodations with an original background. Bought in the fifties by two young lovers, Amelia and Renzo, from a farmer who sold them some land in the woods above the area of Madonna di Campiglio. Sixty years later, their daughter Paola would be running an elegant Agritourism, along with her husband Edoardo. On the site of Paola’s parents, the couple decided to build a new eco-building in 2010, keeping the timber from that farmhouse and setting a biomass boiler alongside solar panels. 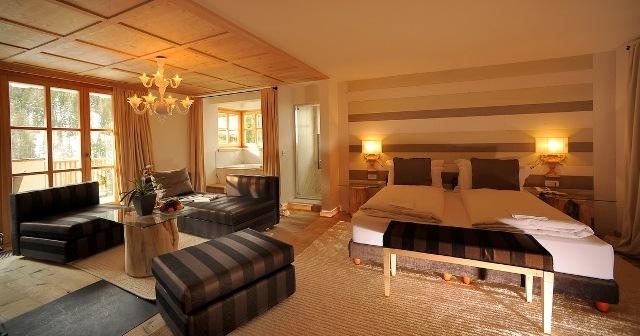 Visitors can decide too choose between six classic Alpine bedrooms, bookable individually, perfumed in nice fragrant pine, and included of a small sarea. Paola offers a unique and refined cuisine in the candlelit restaurant, using all local and homemade products such as honey and liqueurs. In ten minutes, ski and snowboarder lovers can find 150km of ski pistes in the astonishing scenery of Madonna di Campiglio, easily reachable thanks to a shuttle service provide by the chalet’s owners. Further details are available on the official website www.chaletfogajard.it. 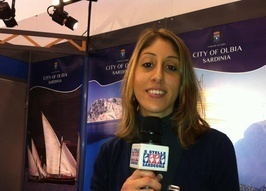 Juli Piscedda works as a lifestyle journalist and teaches Communication and English in London and in Sardinia. She is also the co-founder of Smeralda Services, a PR and Management firm which provides a wide range of services in Costa Smeralda, in the northern side of Sardinia. She loves sports, music, movies, as well as traveling, meeting new people and visiting new places.